The Council is an independent statutory body. 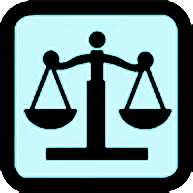 The general activities of the Council concern public interest and regulatory matters and centre on the Council's responsibilities for the quality and provision of education and practical legal training that is required to be undertaken by any person either within New Zealand or from overseas wishing to be admitted as a barrister and solicitor of the High Court of New Zealand. Administering and conducting certain examinations required to be taken by some overseas and other applicants.